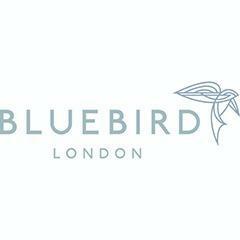 Bluebird is one of Chelsea’s favourite destinations, steeped in history and with striking art deco design, offering guests a welcome escape from the hustle and bustle of King’s Road. An all-day dining destination and multi-faceted venue, offering everything from the relaxed courtyard and café, to the refined award-winning restaurant and bar. The Grade II listed building, originally designed by Robert Sharp in 1923 as the Bluebird Motor Garage, is now iconic in the restaurant scene celebrated as Chelsea’s leading neighbourhood restaurant on a grand scale.